A$AP Ferg, Rich The Kid and Lil Uzi Vert link up on DJ Carnage's "WDYW." 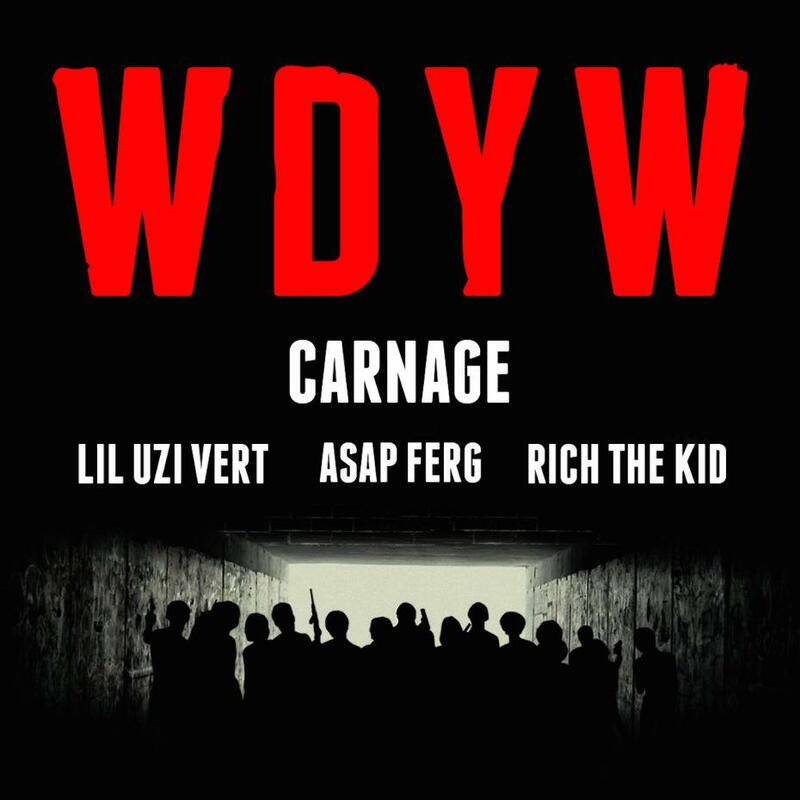 Trap/EDM DJ Carnage's "WDYW" begins almost identically to A$AP Ferg's "Work," so it's only right that he got the A$AP Mob rapper on the track. Rich the Kid and Lil Uzi Vert also guest, rounding out a turnt-up collab that's sure to be a hit in the clubs. After opening with that Eastern-sounding synth melody, a truly oppressive 808 pattern is added in as Uzi warbles some punch drunk bars before adopting a slight patois for a hook. Ferg is next up, and yet again, he finds a new, exciting way to flow. RTK provides the triplets and Bando talk that we've come to expect from QC's artists.